When starting any business, you need to establish your brand in order to even start advertising, especially if you are planning to take your business online, which is the case in almost every business scenario. Among hundreds of companies offering the same or similar services to yours, you need to stand out from the crown and get your online brand up and running. Start is the crucial point of any branding, for it can determine the rest of the steps virally. You first need to decide what your branding is going to be about. Analyze your company’s important factors and decide what makes it the best in the branch, then come up with your personal branding. Your brand should be unique and original, depicting your company’s character. The first thing to do when taking your business online is to make your own website where you can showcase your products and services the way you want to. You company’s logo is another way to establish your brand and move forward to another level. It is the best that you hire a professional web designer and developer to create your personal website for you, along with getting your logo designed. It is also very important that your site is well-organized, for apparently, Google loves nicely categorized pages. Search engine optimization has the most effects when it’s done by professionals. If you are planning to get your brand up and running you can’t miss on hiring a professional SEO manager to optimize your pages for you. SEO includes optimizations with inbound links, proper usage of well researched keywords in your web content, relevance and importance of your written content, optimization of images on your site, tags, links, etc. SEO specialist will surely walk you through processes that need to be done, so your site can get the best rates possible. 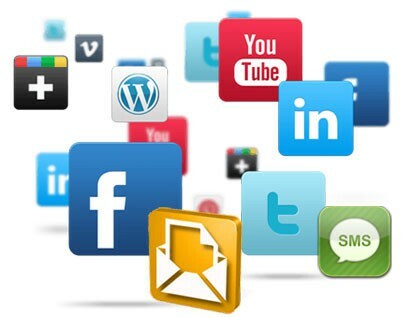 Social networking puts a certain company’s brand in very favorable status at, both, clients and search engines. Besides, social networks are platforms with massive traffic, having millions of people interacting and sharing posts and opinion. You can make your business profile on Facebook, LinkedIn, Twitter, Google Places, Google+ and other social networks, and get someone to manage them for you if you feel that you don’t have enough time. Hiring a social media specialist is very important, because you need to be actively updating your tweets, posts and share your company’s news. By getting your company’s name up there, you will surely get your brand remembered, and up and running. Even if you go through all crucial steps towards getting your brand up and running, it is impossible to succeed without consistent activity and maximal involvement. In order to establish your brand and reputation, you need to be active on social networks, follow up with new SEO trends and get your site updated, staying faithful to your brand and company’s name. By following these principals, your efforts will certainly pay off soon and you will be able to enjoy the fruits of your labor. Looking To Advance in Your Career – Your Online Reputation Counts Update – Google Keyword Tool changes to Google Keyword Planner.